Gremlins meets Hot Fuzz in Cute Little Buggers, premiering on VOD Nov 7. 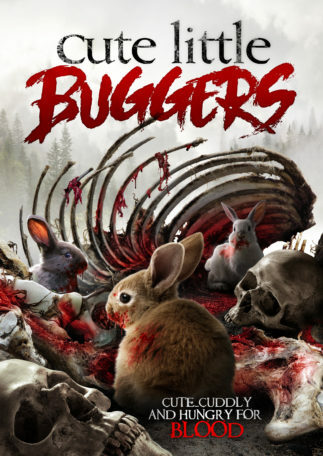 Tony Jopia’s highly anticipated comedy-horror hybrid sees locals of a peaceful English village, enjoying their annual summer festival, when they are suddenly attacked by mutated killer rabbits! Somewhere in the depths of space, aliens are watching the earth and planning their attack. Unaware of the impending danger, the locals of a sleepy English village are preparing for their summer festival. 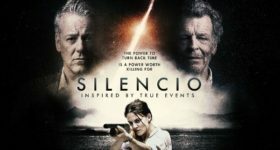 The aliens launch their offensive by mutating the local rabbit population, and when the furry demons are released, the body count starts to pile up as blood, guts, and fur flies in all directions as the humans fight off the alien threat. Featuring genre icon Caroline Munro (Maniac, The Spy Who Loved Me) and from Tony Jopia, director of Crying Wolf , comes the wildest film of the fall, Cute Little Buggers – crashlanding Nov 7 from Uncork’d Entertainment.